With 160W Continuous power (40Wx4), the MEX-M100BT ensures you feel every beat and bass line as you cruise along. 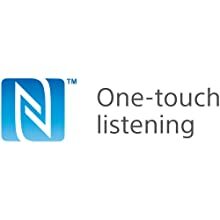 Easily connect to Bluetooth with NFC One Touch to enjoy music and hands free calls from your smartphone. With SongPal, your smartphone or tablet becomes a full system remote to play back music and change various audio and system settings. 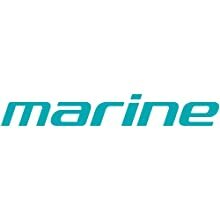 All Sony Marine products are safeguarded by high humidity resistant vinyl resin to protect the electrical components on the inside. The faceplate is UV protected to prevent fading and discoloring from the sun. 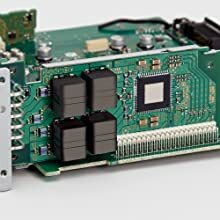 By incorporating a highly efficient class-D amplifier into the receiver, the MEX-M100BT is able to realize outstanding output power – 160W RMS (4 x 40W) – from a compact body. 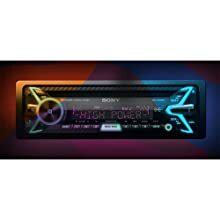 The amp also minimizes the electromagnetic interference that can generate a hiss as volume levels increase, leaving you free to enjoy enhanced sound quality at any volume. Easily take calls and listen to your favorite tunes with Bluetooth 3.0 technology. 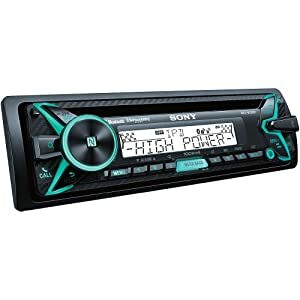 The receiver can simultaneously connect up to two compatible devices and choose between hands free phone access, phonebook access or audio streaming. 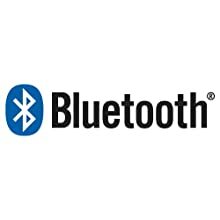 Enjoy simplified Bluetooth connectivity with Near Field Communications (NFC) technology. Align compatible devices and touch NFC logos to: activate Bluetooth, pair devices, and stream music. When done, align and touch the NFC logos to disconnect. Using the 2-Zone, Dynamic Color Illuminator control, choose from nearly 35,000 colors to independently mix and match display and button color to your interior and style. For added sizzle, the lighting can be synchronized with the beat using the Sound Synchronization function. Available for free for both Android and compatible iOs devices. 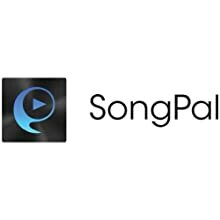 The SongPal app lets you use your smartphone or tablet as a convenient system remote. It can even access, select, and playback the music files stored on your compatible device. 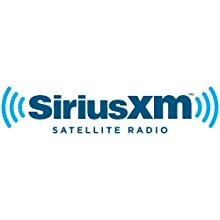 The on-board SiriusXM connector simplifies satellite radio installation by eliminating compatibility issues and providing direct connection to the latest platform of tuners. 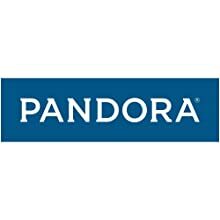 Pandora is the leading internet radio service, giving people music they love anytime, anywhere, through personalized radio stations. The receiver provides complete access to your Pandora account using your iPhone, Android or Blackberry phones. 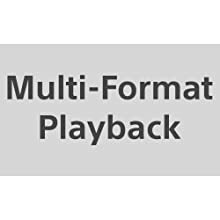 Multi-format playback lets you enjoy: MP3, WMA, and AACfiles encoded to CD, CD-R/CD-RW discs. Or enjoy your favorite MP3, WMA, WAV, AAC, and FLAC files from a USB drive. 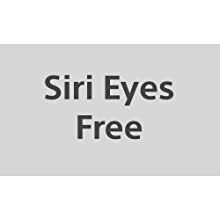 Siri Eyes Free allows for hands-free control of a paired, Bluetooth-enabled iOS device simply by pressing the rotary command button and speaking commands. 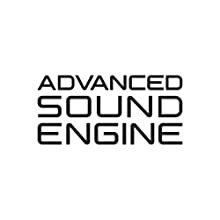 The new Advanced Sound Engine includes adjustable EQ10 equalizer, selectable slope LPF/HPF crossovers, Listener Position calibration (Time Alignment), Digital Sound Enhancement Engine (DSEE) to improve digital music playback, Advanced Auto Volume to balance source signals, Clear Audio+ and Rear Bass Enhancer to deliver an amazing listening experience. 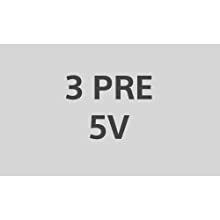 When you’re ready to expand your system, the receiver delivers 5 volt RCA pre-amp outputs for external front, rear and subwoofer amplifiers. The adjustable subwoofer level control also lets you dial in the bass when you’re ready to pump it up.